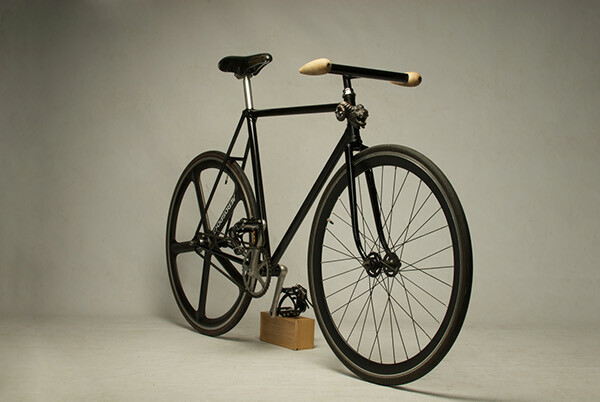 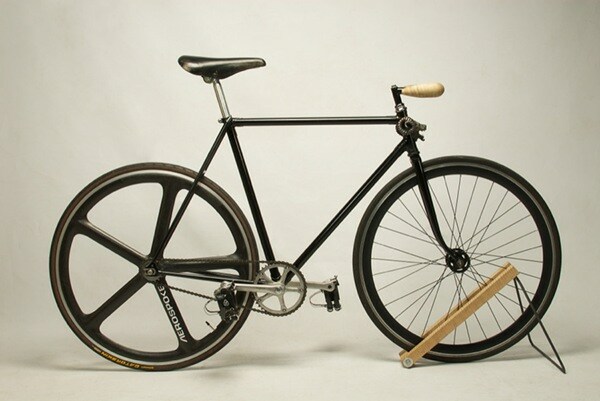 A brakeless fixed-gear bicycle built, by Owen Payette McGarry, for aggressive commuting. 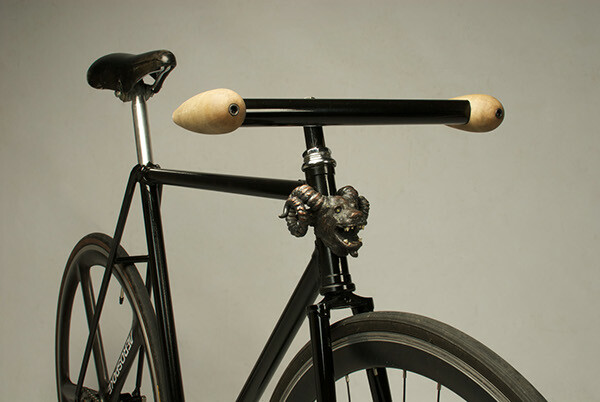 Made from True Temper double-butted steel. 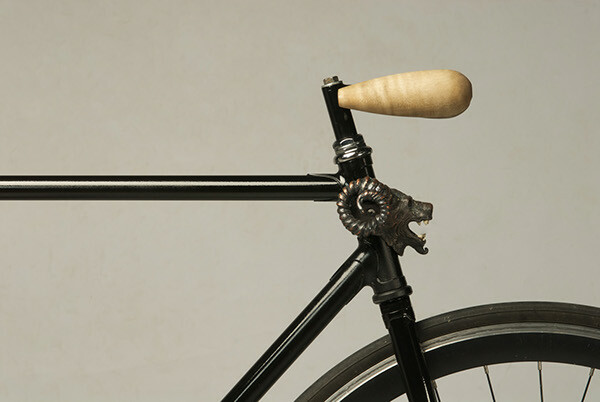 He also built the handlebars/stem, curly maple handlebar droplets, the forks and did the paint job. 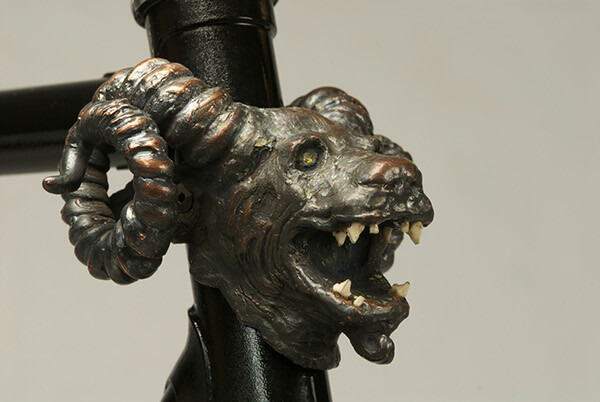 Caleb Colpitts sculpted the gargoyle of electroformed copper with green sapphire eyes and skunk teeth.